I personally think that Richard had planned a monument for her or something similar but Bosworth outcome put an end to this too. Richard hardly had time to erect a memorial to his queen – he died too soon after her death! He may well have intended to be buried beside her in Westminster or, indeed, to have her moved to York eventually. And Henry Tudor didn’t grant him a tomb for ten years – coincidentally (or not?!) at about the time Perkin Warbeck was creating trouble for him. Granting the tomb would have reminded people that Richard was supposed to have killed the ‘Princes’ and therefore discredit Warbeck’s claim. It had nothing to do with respect for Richard – he showed he had none by the way he mistreated his corpse after the battle. There’s no evidence whatsoever as to exactly when and were Richard and Anne celebrated their wedding. 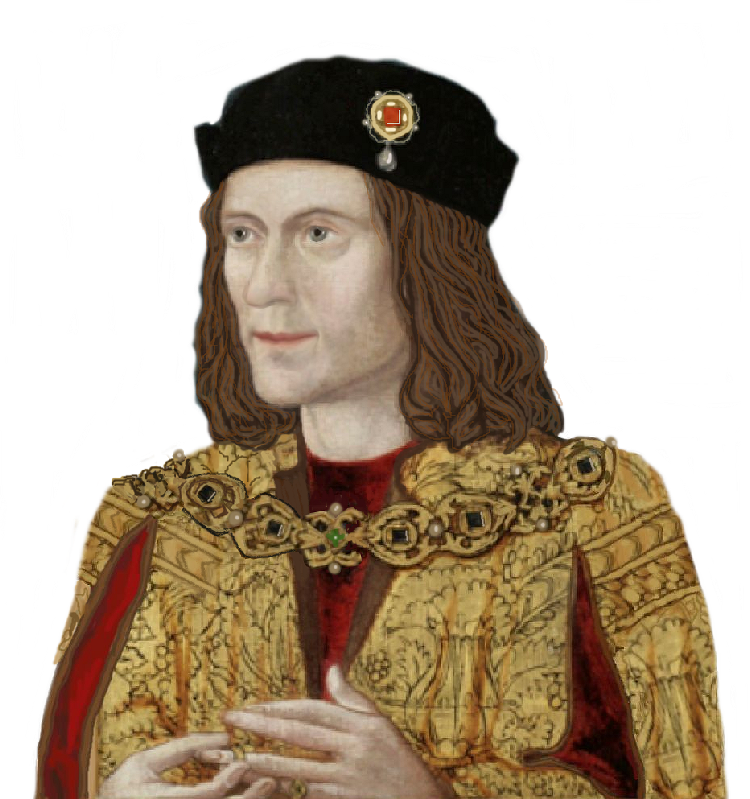 There’s no evidence whatsoever that Richard’s legitimate son Edward died exactly on 9 April 1484, a date later in April is far more likely since Richard moved from Nottingham at the end of April after receiving news of his death. There’s no evidence whatsoever that Elizabeth Woodville made such a theatrical display of grief on hearing the news that her sons had allegedly died as Alison Weir says and citing Weir as source does not exactly speak of historical accuracy. There is written evidence that Richard reached an agreement with his brother George in March 1472 where he actually renounced rather than gained Warwick’s lands in order to marry Anne, as well as renouncing other titles. The lands formerly belonging to the Kingmaker that he did retain, like Middleham, he had already been granted by Edward IV with royal patent in June 1471 after the Lancastrian final defeat at Tewkesbury in May 1471 and Warwick’s death at the battle of St Albans in April 1471. Sigh. Anne died less than 6 months before Richard; when did he have time to create a memorial? The placement near the Confessor’s tomb was VERY high status. It, of course, might have been temporary; he may have moved her to York in his giant chantry, or built within Westminster to include a place for himself, as Tudor did. Time caught him up..
As others have mentioned the date given for young Edward’s death is unlikely to have been true, given the source and the actual knowledge of Richard’s movements. Having a tomb together or some other display does not mean the couple was close, just as being apart does not infer otherwise. Isabella of France asked to be buried in the wedding gown she’d worn at her marriage to Edward II, and we all know the story there. John of Gaunt was buried with Blanche, his first wife, rather than the more famous love-later-wife, Katherine Swynford. Edward I let his mother Queen Eleanor be buried at Amesbury priory with no known memorial raised after burying his wife in Eleanor’s place in Westminster–did this mean he hated his mother? As for the ‘poisoning’, people thought he was capable of it, yadda yadda–well, by that token rumours abounded that Edward IV was poisoned–so we must take it then that the Woodvilles were thought capable of such deeds too. Iris, you made those points good and clear, and unfortunately real evidence is all too often hard to come by. One minor mistake, if I may point out – Warwick was killed at the battle of Barnett. Oh my goodness…. whoever wrote this has been reading too many PG books – and to quote Alison Weir ….well, what can I say? Sounds like a school girl who has been watching the White Queen.